As a vegan person, I am not delighted only by food. I am eating, or try to eat well, with great respect for animals. I also think that food is not enough to have a healthy, lifestyle with full of energy and to prevent health issues, being vegan or not. I obtained to use besides vegan food, supplements, and superfoods. Of course, they should be vegan as well. The plant-based supplements are absorbing more effectively. I use reishi, spirulina, chlorella, schizandra, berries, turmeric and lots of other superfoods and natural supplements to maintain proper health and energy. I also do exercises on a daily base, I use those products in capsules or powder forms. Vitality products are the same, I mean they contain lots of superfoods, they are vegan-friendly and can be easily adapted to our lives. They also use every ingredient in raw forms which is very important. I have no problem with soy products, but some people have, and these products are soy-free, too. Let’s see for example for boosting energy. Their POWER IRON + ORGANIC SPIRULINA product contains those two major ingredients, spirulina, and iron. The uniqueness of this product is that is also gentle to our stomach. This product also contains vitamin B12, folate, and Vitamin C. They use organic spirulina for the higher absorption of the vitamins. The high level of iron will help to oxygenate the body and in this way, the energy will increase. By using this product will help to increase stamina and to boost brain function. For those who are pregnant or have an iron deficiency, I think is very suitable and will help a lot without hurting the gut. Women are also obsessed over the aging issue. Vitality has also some products which have been developed to prevent aging problems and maintain healthy skin and an ageless outlook and shape. Time Release Super Multi+ is a multivitamin with 19 essential vitamins and minerals which are made by plants with benefits for skin, hair, nails, immune system and a great energy booster. This is also suitable for vegans and for those with gluten problems. We can find lots of superfoods and energy products with high absorption on their website. Recently these products were added to the Whole Food Market, Americas biggest online store and supermarket chain, which provides nutritional information, organic products, diets, and health-related special products without chemicals or other harmful ingredients. They have all kind of dietary sections, like vegan, gluten-free, paleo friendly, keto friendly, or lacto-vegetarian. They provide also Kosher, organic sugar-free, low sodium or low-fat products. This week we had the opportunity to speak with Mukesh Kothari, who took us deeper into the meaning of Yoga. Thank you for your time answering the questions. Please tell us a little bit more about yourself. When was the first time you’ve started practicing Yoga and give us a bigger picture of what are you doing regarding Yoga? I was born in Rishikesh, India in a Brahmin family. My father is a doctor and my mother is a social activist. I have two younger brothers, one of them is a Yoga teacher and manages our school in India and the other one choose to stay with Bank. I started doing yoga from my early school days, I studied in a Hindu school where spiritualism is a core of education and also included Sanskrit and yoga education. In 2003, I went to the Yoga school to finish my education in yoga and naturopathy (Ayurveda). Now I share what I have learned from masters and school through yoga classes and courses. I conduct courses for general students who want to deepen their practice and also those who wish to share the same what I did by becoming a yoga teacher through yoga teachers training 200 and 500 hours. Please explain a little bit for the readers, what is let’s say the difference or “better” in Bindusar Yoga and other kinds of Yoga, or Yoga is One and there are no differences? How can Yoga and Bindusar Yoga help people in generally speaking? Technically yoga is the same, and no one can brand it to his invention. All yoga styles taught in modern time are inspired by Hatha yoga, and they are representing its method irrespective of the name used. Only difference occurs how much of its authentic nature is kept as per Hatha yoga teachings. In Bindusar we try to deliver the lessons purely and practically, we include awareness of all yoga contents such as purification methods, asanas (posture control), pranayama (breathing methods), meditation and even enhancing its effectiveness by assimilation of Ayurveda in the form of diet, lifestyle and yoga therapy. Yoga and Ayurveda are sister sciences, and yoga widely quotes ayurvedic terms and concepts, so involve both for better understanding and effectiveness. We also explain why the practice is relevant and how it can be significant in the students’ life. As some big yogis say, that Yoga is actually a way of life, and more than in western society people understand (not just exercise or respiration techniques), what do you think is it easy to adapt in daily lifestyle for people in western countries, or there are cultural or other boundaries? There are no big, or small yogis, where big and small exists, then ego also exists, and yoga is all about dropping the ego. They are also right when they say it because postures and respiration method are just a tip of an iceberg of the yoga world. It needs well-trained teachers to grow awareness about the depth of yoga. But anyway, yoga is all about flexibility, either body or mind or even attitude to yoga itself. People can begin with postures and respiration method, and soon with the help of a good teacher, they can deepen the practice. Yoga is not meant for one culture; it is flexible and can be adapted to cultures, just keeping its effectiveness. We understand that you are teaching in lots of countries, but you are living in Budapest. How Hungarians or people in Central and Eastern Europe understand Yoga or particularly Bindusar Yoga, is it easy to adapt in people’s daily lifestyle? Precisely Hungarians and Romanians are deep thinkers, and their understanding and orientation to yoga are excellent. They are adapting the yoga in their daily life very well, even with 20 minutes of sun salutations. I have been teaching in Hungary for the last ten years, and yoga has evolved here a lot. In Bucharest, I came to train trainers in 2015, and during that time just a couple of small yoga studios exist and yoga is more seem like either a physical exercise in gyms or as a cult, but as I see now in 4 years, yoga has grown all over Romania and even in smaller towns. Our trained teachers have opened around ten studios all over Romania. We have done many Yoga teachers courses even in cities like Cluj, Brasov, etc. and are invited to Sibiu, Timisoara, Iasi, and Oradea. So, this shows Romanians are very keen to practice yoga and learn it well. As a Yoga instructor, we are sure that you’ve met many people from different cultures, and as we know nowadays Yoga is a trend, too. From your experience have you seen people who really could adjust Yoga or particularly Bindusar Yoga as a lifestyle/way of living, or people just want to learn Yoga for their specific needs (ex. weight loss, for muscular system, relaxation or curiosity), and then they just quit. People come to yoga for different reasons, such as you mentioned Philosophy, practice, and effects of yoga on health. My experience in Romania have proved people want not just health with yoga but also wants to accept yoga effectiveness in lifestyle such as eating, positive thinking, joyful living, good relationship, stress reductions, etc. With Bindusar we bring a method, where we analyze the student’s health, body and mind state, starts with easy yoga and slowly grow them with the safe practice to an advanced level at the same time improving the different dimension of life. As we see you have several upcoming events in Hungary, Romania, Austria, one of those is this weekend, ” Bindusar Spine Yoga Therapy” in Romania, what can people learn there? We regularly conduct workshops and courses in Europe. Mainly we run the series of workshops that are designed to help students either with their physical health, mind or spiritual motive. The Bindusar spine is our standard class that is taught by our trained teachers, and its primary purpose is to prepare students safe movements of the body with keeping spine and back safe. It helps students to understand their body so have an injury-free yoga practice. The Bindusar spine is also recommended for people with issues with the back, as the class is gentle and can help them to progress in the world of yoga safely and effectively. Your Yoga classes have specific needs for people, dietary changes, for ex. Ayurveda or you accept anybody, who is willing to learn? Yes as I mentioned with, we have system placed to introduce people to yoga in steps by steps. Our studios or course always invite beginners with spine classes after six weeks, they can enter to hatha and then to basics, basics 2, etc. Here is our chart attached that shows our method. What do you think, why people should invest in Yoga? Just for two reasons and those are health and good state of mind. Take an example that most people want to amass wealth, career, status, family goals, etc. in their life the journey cost their health and peace of mind during the process. So, yoga helps you to achieve everything you need but keeping you healthy to enjoy the fruits of hard work. Second, is a state of mind; every second we are becoming Vikshipta (distracted either with desires or fears) as said by sage Patanjali. Distracted state of mind always keeps us unsatisfied and anxious. Therefore yoga is the only solution to attain the Ekagara, the focused state where we keep the mind quarantined from negativity. In conclusion, Bindusar Yoga system brings yoga in daily life to help students to enjoy fulfillment and stay healthy without moving to caves or jungle for peace of mind. Mukesh Kothari is a spiritual counselor for some and yoga guru to others. He was introduced to yoga at an early age due to the surrounding of his native village in Rishikesh (The yoga capital of the world” a town in the Himalayas). Later, the quest to understand it in depth took him to many Himalayan gurus and yoga school. He has been teaching yoga since 2003, immediately after finishing his formal education in Yoga and Ayurveda. His teaching includes the style of Hatha yoga and inspired modern styles such as Ashtanga Vinyasa, Vinyasa, and self-created Bindusar yoga system. His teachings also include the study of classical texts like Patanjali Yoga Sutra, Hatha yoga texts such as Hatha yoga pradipika, Gherand Samhita, Hatha ratnavali, where the complete approach of asanas, pranayama, meditation, and Vedanta emerges. He has regularly been teaching in India and West since last 15 years, where he has gained the competency to explain the old tradition of Vedic yoga and Ayurveda knowledge to western students easily. He was introduced to Ayurvedic lifestyle since from his childhood due to family and social environment, as his father is a doctor in an Ayurvedic system. He started learning yoga concepts at an early age under the guidance of Swami Hanumant Giri. Mukesh Kothari has a high influence of yoga and spirituality during his school education of 14 years at the school of Honorable Swami Omkarananada Saraswati (www.omkarananda-ashram.org). He is actively teaching around the world with his courses and Yoga teachers training 200 and 500 hours and set up his stable teachings along with a very dedicated team in European cities such as Budapest, Vienna, Prague, Moscow, Bratislava, London, Moscow, Sardinia, Cluj, and Bucharest. He has trained over 600 Yoga teachers in the European continent since 2012. He is the founder of BinduSar Yoga Rishikesh and Yoga studio in Budapest, where more advanced courses and teacher development programs are conducted regularly. Although carrots are available throughout the year, carrots grown at local, seasonal, summer and autumn season are more preferable because they are fresher and more delicious. Carrots are part of the Umbelliferae family, called after-umbrella, like clusters of flowers radiates from a single point. Per se, carrots are closely related as a family of, fennel, parsley, anise, cumin, caraway and dill. We are fortunate to have the results of a new 10-year study in the Netherlands with carrots and the risk of cardiovascular disease (CVD) – and these results are really fascinating. The fruit and vegetable input in the study was classified by color and focused on four color categories: green, orange / yellow, red / violet, white. Of these four categories, orange / yellow (and, in particular, deep orange and yellow foods) have been the most beneficial and protective against cardiovascular diseases. Participants who ate at least 25 grams of carrots (25 grams, less than one quarter of a cup) had a significantly lower risk of CVD. Groups of participants who ate 50 or 75 grams more had an even lower risk of CVD! Much of the research has focused on carotenoids in carrots and their important antioxidant benefits. After all, carrots (along with pumpkin and spinach) have a high ranking on the list of legumes considered antioxidants, commonly consumed in the US. But recent studies have come to the conclusion and brought the carrot as a part of nutrients called phytonutrients. In carrots, the most important components are polyacetylenes, falcarinol and falcarindiol. Several recent studies have identified these polyacetylenes in carrot as phytonutrients that can help inhibit the growth of colon cancer cells. These new findings are exciting because they suggest a key interaction between carotenoids and polyacetylenes carrots. Apparently, rich carotenoid content in carrots helps prevent oxidative damage not only inside our body but can also help prevent oxidative damage. In other words, these two stunning groups of carrot phytonutrients can work together in a synergistic way to maximize their benefits in our health! Carrots have been found to have a better taste, while cooked steam! In a recent study on examining different methods in cooking vegetables, study participants were asked to evaluate the flavor and taste, the overall acceptability of the results. Compared with boiling points, study participants significantly favored the general taste and acceptability of steamed carrots, as compared to boiled ones. Carrots are probably best known for providing rich nutrients and antioxidants, which was actually called: beta-carotene. However, these delicious root vegetables are the source of not only beta-carotene, but also contain a wide variety of antioxidants and other nutrients. They are beneficial in cardiovascular problems but are also anti-cancer nutrients. Different varieties of carrots contain different amounts of these antioxidant phytonutrients. Red and purple carrots, for example, are best known for their rich anthocyanin content. The oranges are particularly remarkable in terms of beta-carotene content, which accounts for 65% of their total carotenoid content. 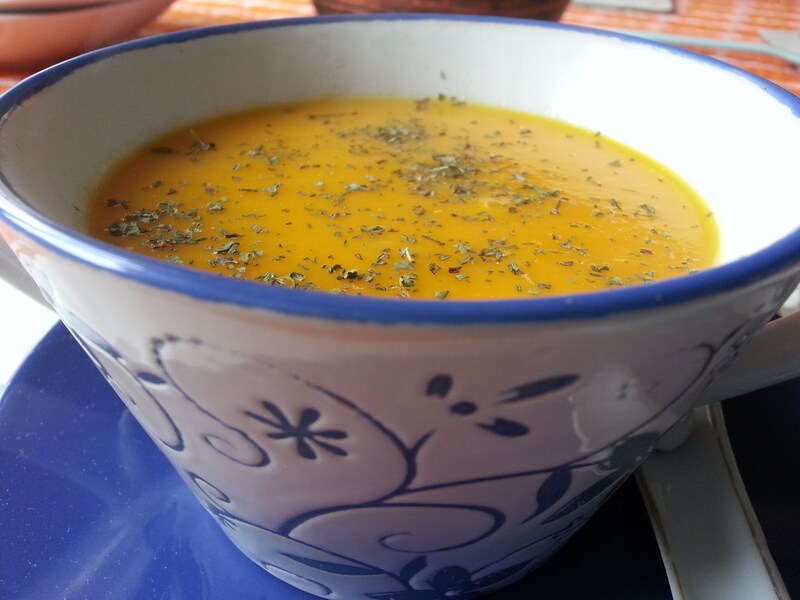 In yellow carrots, 50% of all carotenoids come from lutein. Given their richness in antioxidants, it is not surprising to find many studies about it. Our cardiovascular system needs constant protection. Thus they (carrots) are considered cardioprotective. The anti-cancer benefits of carrot have been proven in the prevention and treatment of colon cancer. Part of this research involved the actual intake of carrot juice by the participants, as well as other research that involved studies on different types of cancer cells. “Baby” carrots are rich in nutrients and low in calories and are ideal for raw or steam snacks or in a mixture of vegetables. Vitamin A is the nutrient found in carrots of all types and varieties. Each minced “cup” contains 21384 IUs – international units. The daily dose, for example recommended for women, is 2,300 IU, or 700 micrograms. Vitamin A helps ensure good vision, healthy skin and proper functioning of the immune system. For the reproduction of a cell, we need vitamin A, but it also participates in bone formation. Vitamin A in carrot comes in the form of beta-carotene, which the body turns into vitamin A during digestion. Although carrot consumption is beneficial, taking large amounts of vitamin A through supplements can cause toxicity. A cup of baby-chopped carrots or large carrots contains 3.6 grams of dietary fiber, which is up 10 percent of the amount we need in a day. Fiber supports digestion, regland and helping constipated people. Fiber-rich diets are also linked to lowering cholesterol levels, reducing the risk of diabetes and preventing colon cancer. Foods rich in fiber are also useful for weight control, adding the amount of free calories to food. Vitamin K is an essential vitamin that plays a role in blood clotting and the production of certain bone proteins. A cup of baby-carrots or chopped carrots contains about 17 micrograms of vitamin K; adult women need 90 micrograms per day. Other excellent sources of vitamin K are everything that is green and dark green, leaves such as cabbage, spinach, and broccoli and soybean oil. If you take any anticoagulant, such as warfarin, it can not be taken safely with large amounts of vitamin K.
At 7.6 milligrams of vitamin C per cup of minced carrots, carrots provide about 10 per cent of the 75 milligram daily needed for women. Our body uses vitamin C for a lot of functions, including immune support, cell repair and wound healing. Vitamin C also helps you absorb iron from food, which is especially important for menstruation in women. However, there is no truth in that myth, which tells us that consuming large amounts of vitamin C helps prevent colds. Although vitamin C supplements can regularly reduce the duration of colds. They play an important role in cancers and tumors, being antitumor, and yes they play an important role in fighting various viruses and bacteria, etc. It is not just a trend, but studies shows that meditation can help a lot of problems in our lives. We can see around us a World which is bigger, full of innovation, studies, evolution, but more depressed. There are so many people who are using anti-depressants, drugs, but the root of the problems is still there. So what can help to detox our DNA and Mind and to have a happier life? Meditation seems to be one of the biggest help in this issue. According to World Health Organisation’s (WHO) report, more than 300 million people in the world are suffering from depression and anxiety. Being a trend or not, nowadays, but we know that meditation was practiced from thousands of years. Meditative state, relaxation exercises were something “normal” in so many cultures and also religions. The biggest help of meditation was the effectiveness to our brain. The brain is something that attract everything, even our belief system is based on our brain and mind-set, and it is connected to our emotions. The the latest scientific studies shown and concluded how and if meditation can literally change our brain, our DNA and our overall health. Several studies and clinical trials have been carried out that have explored how a mindfulness-based meditation approach can be used to treat and manage depression. Benjamin Shapero, an instructor at Harvard Medical School (HMS) and a psychologist at Massachusetts General Hospital’s (MGH) Depression Clinical and Research Program is working with Gaelle Desbordes, who is also an instructor in radiology at HMS and a neuroscientist at MGH’s Martinos Center for Biomedical Imaging and they have found some amazing results. fMRI scanning will not only takes a picture of our brain, as an MRI, but it also records brain activity during the scan. In 2012, Desbordes showed that changes in brain activity lasts even when people are not meditating. This means the effects of meditation on the brain are long lasting. Our World is changing continuously, our inner-world and outer-world, as well. We all would like to have Inner Peace and to reflect this outside and to bring peace and harmony to the World. We all have these capacities, but why don’t we use it? As we know that from Asia, to America every single ancient culture had something to do with meditation and mindfulness, starting from Zen mediation used in Zen Buddhism, or Tibetan Buddhism, or other modernized meditations which has their roots in ancient cultures and belief systems – always helped people to be in peace with themselves and in our modern society will help more. This is why meditation is something which needed more research and study. There is the ancient experience, but human nature of modern society need to study and question everything. Personally, I’ve met so many people who are meditating at a daily routine. Of course we have seen also that those people are little bit different than the random ones in our modern world. The truth is that our world is open to meditation and healthy lifestyle, we need and want to change our system and our perception of life and existence. What those people experienced, and what they know beyond the studies and researches it is theirs and lots of them will share with others through Yoga and meditation classes, teaching mindfulness and bring wellness and happiness to other people’s lives, too. “Yoga and meditation are my way of living. Nowadays, stress and pain are affecting our energy level and wasting our vital force in the highest degree. In order to increase our mood, our focus, our health and the level of our well-being, it’s recommended to experience yoga and meditation as a way of living our life. According to Patanjali, “Yoga is the suppression of modifications of the mind/ the ending of disturbances of the mind.” Yoga has many physical benefits and but for me is a precious tool for increasing the energy, the prana into the body. While I am practicing yoga, I feel the freedom of life, the strong connection between body and mind which keeps me centered during the day. Yoga practices are like refilling the energy back into my body. Personally, I feel that yoga empowers me to pursue my dream, and enjoy in a deeper manner the abundance of life. The Amygdala is the part of our brain that is responsible for emotions processing and memory. A highly active amygdala would result in a person experiencing high symptoms of depression and stress. Stress is the body’s response to a “Fight or Flight” situation and results in unwanted associated symptoms like headaches, upset stomach etc. The Relaxation Response is the opposite of the Fight or Flight response wherein the body secretes hormones that put us in a deep state of relaxation by engaging a part of our nervous system. Desbordes and her team aimed to test if increased body awareness in the moment (interoception) can help participants break the cycle of self-rumination. It is extremely difficult for depressed patients to break from the cycle of self-rumination and let go of obsessive thoughts. Another study authored by Shirley Telles and team published in the Depression Research & Treatment journal explored how meditation can be used to manage mental health disorders resulting from trauma. While there are several substitute treatments like medicine etc. they bear undesirable effects, unlike Yoga and meditation. Their research found similar results that confirmed Zen meditation causes changes in amygdala. Researchers from the School of Psychology and Cognitive Science from East China Normal University found that a Chinese meditation technique called Tai Chi can over time reduce grey matter atrophy and thereby achieve successful ageing for elders. Their research showed that experienced meditators had higher GMV (Grey Matter Volume) of the thalamus and the hippocampus. Their research also revealed that high GMV results in improved emotional stability. This means as soon as you will start meditation, you will have sooner benefits and will help in reducing aging process. John Teasdale, a psychologist from the Medical Research Council (MRC) in Cambridge published a study in 2000 and concluded the potency of mindfulness as a preventive in patients who have relapsed three or more times. So, we can conclude that regular meditation can reduce stress, improve attention and focus, can bring emotional stability, reduces anxiety, manages depression and changes the physical structure of the brain. However, mindfulness meditation has benefits beyond the brain that affect our biological health. The infographic shows all the currently researched and possible beneficial effects of meditation on the body. A study published in the Journal of Neuroscience in 2011 concluded that mindfulness-based meditation can relieve pain. Fadel Zeidan of Wake Forest University along with his team scanned participants brains as they received uncomfortably hot touches to their legs. Those who practised meditation reported experiencing less pain when they simply focused on their breathing. The study found that there was increased activity in the lower region of the brain that controls signals coming from the body as well as the executive centres that evaluate experience and regulate emotions. As Daniela also said before, we need to practice as a Lifestyle, not just as an exercise or something from our outer world, meditation should be OUR WAY of LIVING. To summarise, the latest research suggests that through mindfulness-based meditation, people can mitigate their perception of pain and alleviate symptoms of chronic pain. Daily meditation can make you stronger and more resilient to pain. Expert meditators can command such control over their bodies that they feel no pain at all. What other benefits can we have through meditation? A research found over 5 years, the group that meditated experienced a staggering 47% fewer heart attacks, strokes and deaths caused by CVD. Drugs that reduce cholesterol levels reduce the risk of life-threatening events only by 30-40 percent. Whereas, common blood pressure drugs reduce these outcomes only by 25% to 30%. Meditation has shown to be clearly more effective. This was found out through a new study published in the Annals of Family Medicine. Ivan Buric, a psychologist from Coventry University’s Brain, Belief and Behaviour lab along with her team have found that a gene called NF -kappaB responsible (acts as an “on switch”) for many inflammatory diseases is affected by such meditative practices. They have published their research in the Journal Frontiers in Immunology where they have reported their findings. Meditation showed that the gene responsible for triggering chronic inflammation and related diseases becomes less active. This means that meditation can bring changes in our DNA that can at least prevent if not fully cure chronic inflammatory illnesses. A new study published by researchers from the Netherlands found that volunteers could be taught to control their sympathetic nervous system. Once trained, all volunteers were exposed to toxins that would create flu-like symptoms. The group that practiced meditation showed signs of improved immunity and even produced higher inflammation-fighting proteins called interleukin-10. This is another example of the ability of the mind to cause physical changes in the body. Another study published in Frontiers of Psychology by researchers from the University of Rome and the University of Udine in Italy found that meditation may even improve creativity in certain manners and contexts. 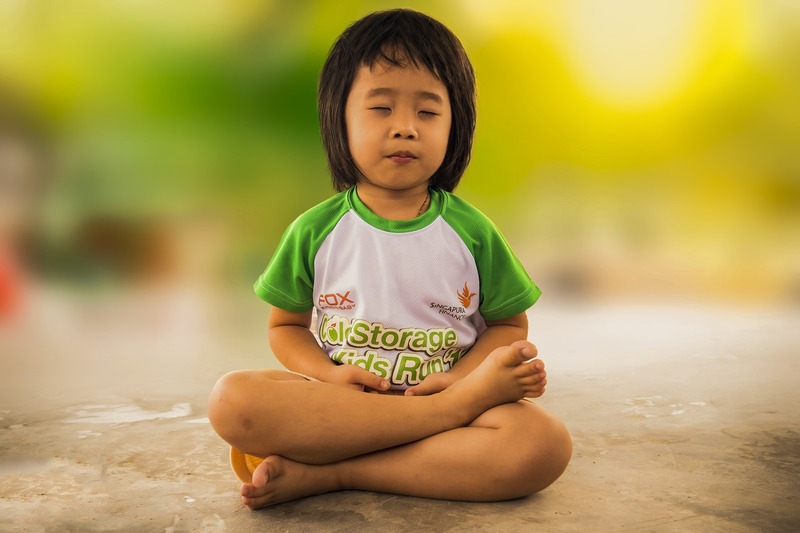 By practicing mindfulness meditation, people train to drop their predispositions and are hence able to perform well on tests that required new ideas, more flexibility, fluency and originality of response. A Japanese study published in PLos One found that regular practice of mindfulness meditation results in higher job performance including higher work engagement, improved subjective job performance, and job satisfaction. Based on Johns Hopkins University study, it is important to not think of mindfulness meditation as a magical technique that will cure all illnesses and solve all problems. It is a tool that is to be used correctly and regularly to benefit from its positive effects. If practiced regularly, it can definitely improve your wellbeing. I’ve met myself many meditation systems, I used so many tools, I practiced some of them long periods and years, from religion to progressive meditations, I’ve tried a lot. I have a clue about Tibetan Buddhism and I respect the Dalai Lama. At the Annual Meeting of the Society for Neuroscience in Washington, the Dalai Lama said that meditation is hard work even for him. He added that, if neuroscientists and researches could stimulate the same feelings he achieves by meditation artificially, he would be a volunteer for such an experiment. For so many time science stayed away from meditation and researches in this field. As our world is more and more full of stress, more and more diseases and the mental problem appears, this is something that would be interesting and deserve to study more deeply. Maybe it would be also an answer to so many questions regarding “Who We Are” and our potentials. Meditation helped me in many ways and many fields, not just in my health, and prevention, but also in my Career, Work and achieving new things. It is very provocative and challenging, I would say for a person who is meditating, “THE SKY IS THE LIMIT”.